Ellen is shocked. Who is Bill? A man called Bill works in her new office. He is quiet and shy. Did he send the card and flowers? 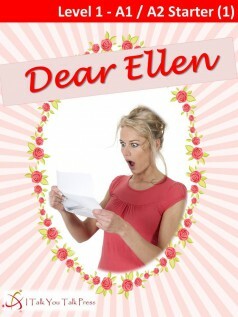 When Ellen asks him, he says, “I didn’t send the card or the flowers.” So who sent the card and flowers? Who is Bill? Ellen finds the answer in a love story from the past.